After reading this sign, I had to know more about Mr. Putnam. 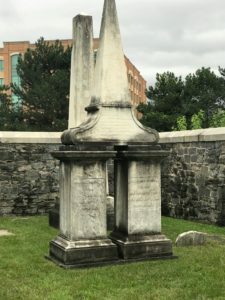 Last week in Saratoga Springs, New York, I didn’t go to the famous Saratoga Race Course, take a private mineral springs tasting tour, or visit the famous grounds where the Battle of Saratoga was fought. 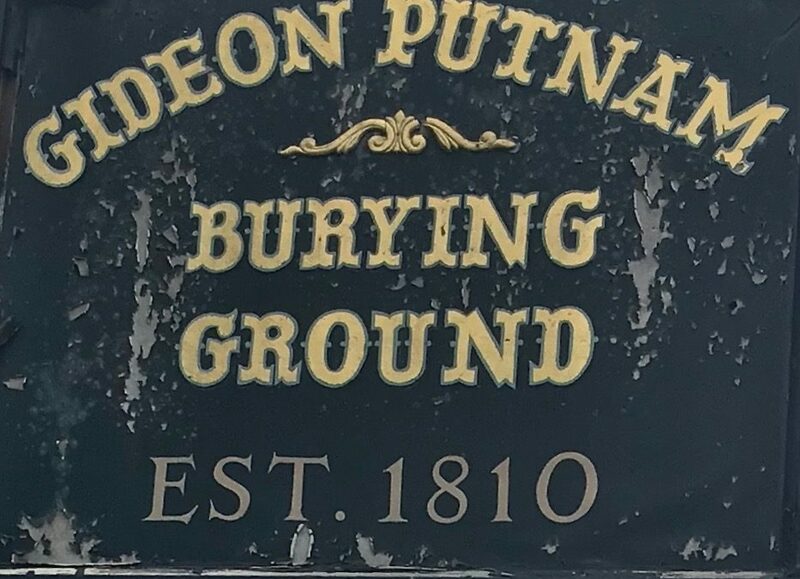 Instead, I discovered the Gideon Putnam Burying Ground—the founding father of Saratoga Springs. 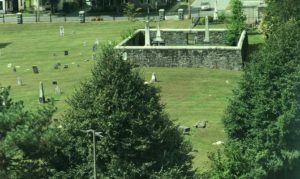 From my hotel window, past the parking lot, through a thicket of trees, I saw tombstones. Marble and granite headstones at precarious angles or overturned. In 1789, Gideon Putnam and his family followed an Indian trail from Bemis Heights, New York, to Saratoga Springs. In Saratoga he started a lumber business and realized the potential draw of tourist to the medicinal mineral springs. Putnam cleared parts of the primitive pine forest to build the first hotel. Skeptical locals called it Putnam’s Folly. They thought the endeavor pretentious, and didn’t care for Putnam’s boundless optimism and ambition. Putnam sold portions of his property to new settlers. He expanded the hotel. During this flurry of activity, Gideon and his wife, Doanda, had nine children. 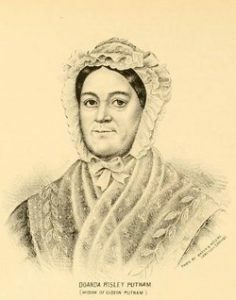 Doanda Risley Putnam. No picture of Gideon to be found! He purchased more land and allocated a village with broad roads. 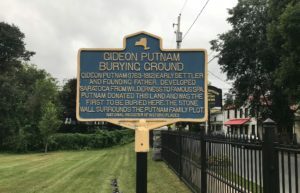 He excavated and tubed the springs, saying, “—forever remain open and free to the people.” Generous Gideon Putnam provided plots for a church and a school. Trees were planted. 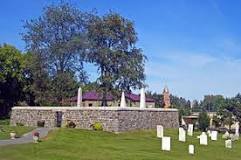 He set aside land for a private cemetery that was later donated to the village. 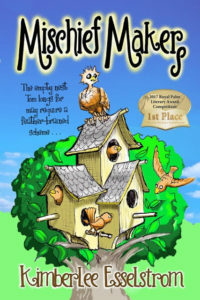 While overseeing construction of his latest building, Putnam fell from the scaffolding. In 1812, at age 49. He died from complications of the fall. The weathered inscriptions are no easier to read than from my sixth-floor hotel window. 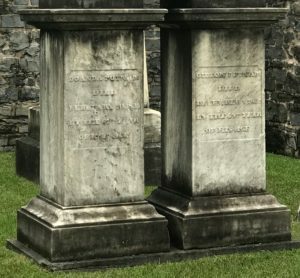 In 1922, the local Daughters of the American Revolution identified just 89 of the 161 original graves. In the 1980s, after a century of neglect, restoration efforts produced a placard, now faded, that once told the name and location of the sleeping residents. 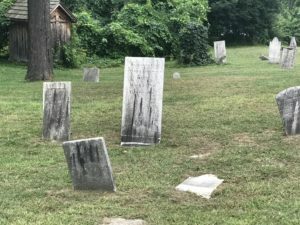 A fieldstone wall encases the family plot. Gideon and Doanda share a double-pillared obelisk. If only they could see beautiful Saratoga Springs now! 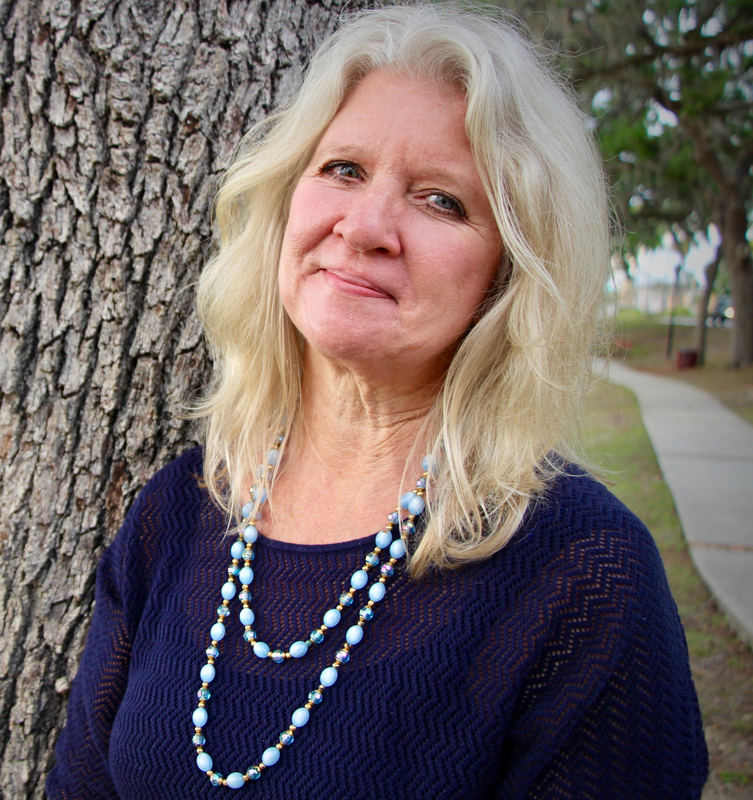 Who have you met in a cemetery? I have met un-named infants, and young children; who likely remained prominent in the parents’ hearts and minds until their own deaths. Those tiny lives were brief but never failed to touch another life.